Amid all the hubbub and covfefe this week, Trump very quietly made a major changes to the relationship between the Executive and Legislative branches. 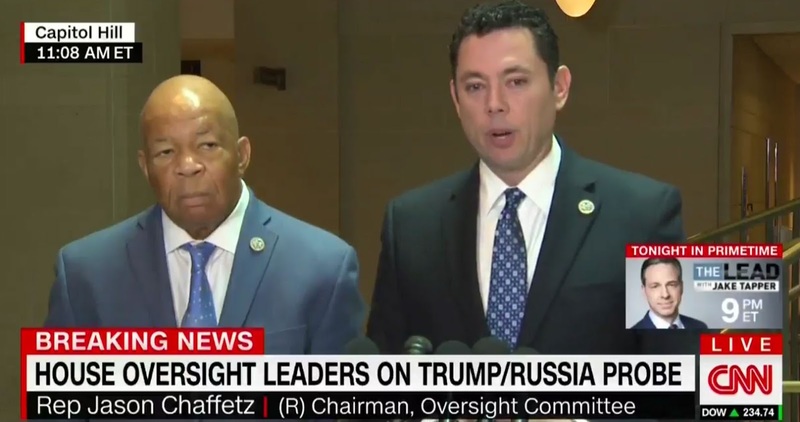 Democratic calls for oversight will be completely ignored. He obviously didn't have to tell the federal agencies to ignore Republican calls for oversight because they're too busy looking for leakers to think about anything else. At meetings with top officials for various government departments this spring, Uttam Dhillon, a White House lawyer, told agencies not to cooperate with such requests from Democrats, according to Republican sources inside and outside the administration. It appears to be a formalization of a practice that had already taken hold, as Democrats have complained that their oversight letters requesting information from agencies have gone unanswered since January, and the Trump administration has not yet explained the rationale. The declaration amounts to a new level of partisanship in Washington, where the president and his administration already feels besieged by media reports and attacks from Democrats. The idea, Republicans said, is to choke off the Democratic congressional minorities from gaining new information that could be used to attack the president. "You have Republicans leading the House, the Senate and the White House," a White House official said. "I don't think you'd have the Democrats responding to every minority member request if they were in the same position." A White House spokeswoman said the policy of the administration is “to accommodate the requests of chairmen, regardless of their political party.” There are no Democratic chairmen, as Congress is controlled by Republicans. Could you imagine if, in the face of all the hollow Republican investigations, President Obama had announced he would no longer respond to Republican calls for oversight? The Democrats, to put it mildly, are outraged by this move. “Every member of Congress represents hundreds of thousands of American citizens who expect their representatives in the House and Senate to fulfill their duty under the Constitution to act as a check on the executive branch in order to promote the proper functioning of federal agencies and departments,” said Rep. Elijah Cummings (D-Md. ), ranking member on the Oversight and Government Reform Committee. As the Washington Post reminds us on a daily basis, "Democracy Dies in Darkness."